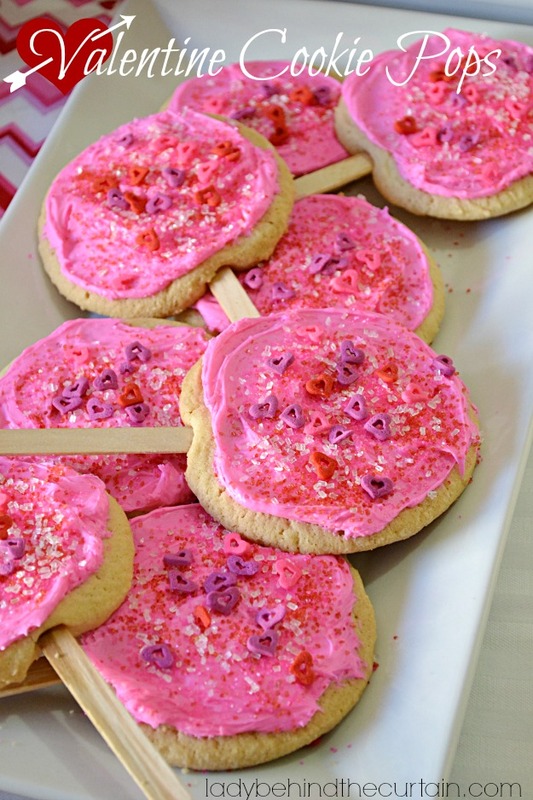 Valentine Cookie Pops | Simple cookies pops made with store bought cookie dough. 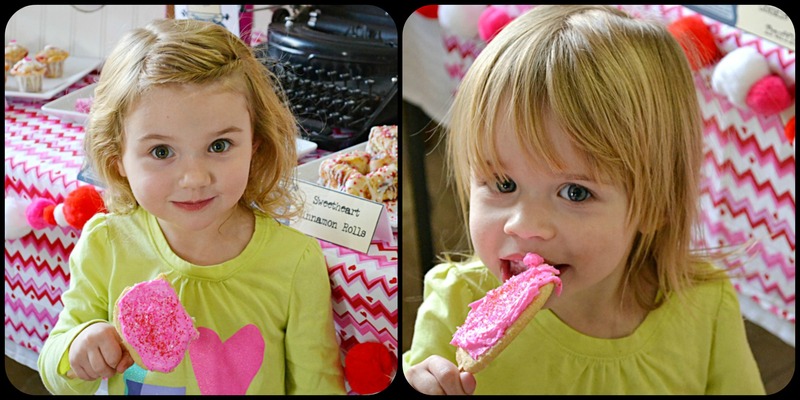 The perfect Valentine Party Dessert! 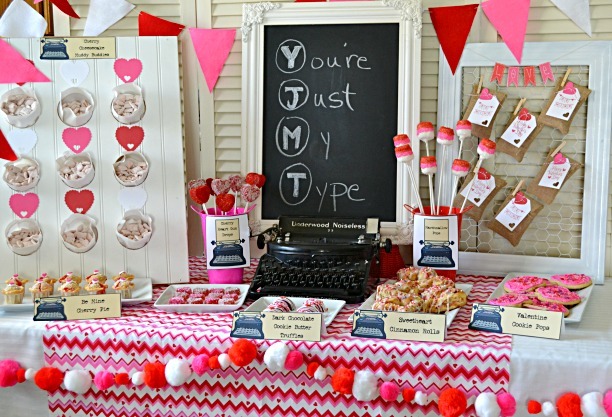 When putting together a dessert table or any party table I always have a rule. Fifty percent homemade and 50 percent semi homemade. 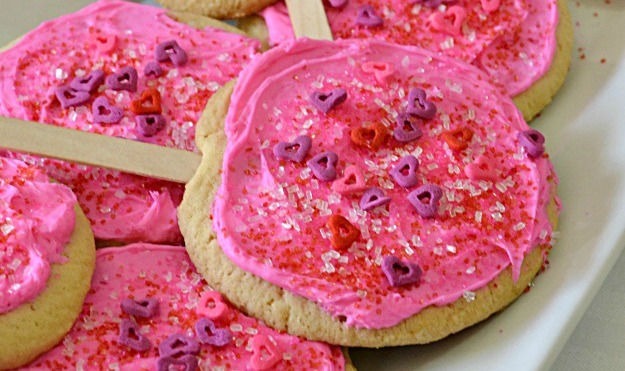 Kid’s will love eating a cookie on a stick. The adults will love how easy they are to make. 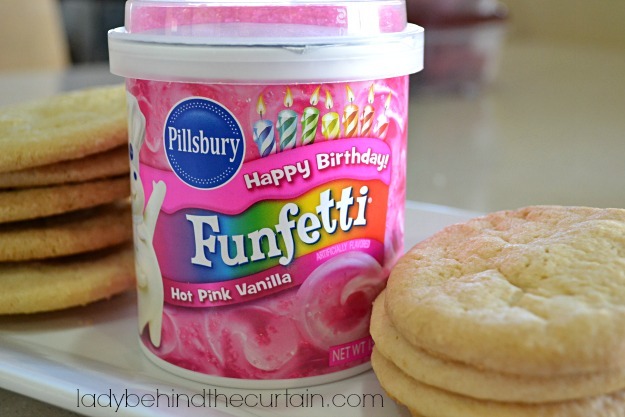 For easy entertaining, add this fun cookie to your Valentine’s Day Dessert table. 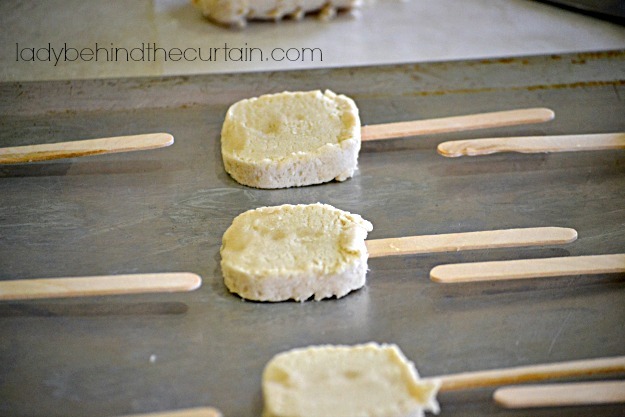 Slice store bought cookie dough into 1-inch disks and insert popsicle sticks. Bake and decorate with frosting and sprinkles. Slice cookie dough into 24 slices and place on ungreased cookie sheets 2-inches apart. Insert a wooden stick 1-inch into each cookie slice. Cool 2 minutes; remove from cookie sheets. Cool completely, about 10 minutes. Spread frosting on one side of each cookie; decorate with candies and sprinkles.